New Delhi: The Supreme Court Friday ruled that the Chief Information Commissioner (CIC) would have the same status as that of a Chief Election Commissioner (CEC) as it issued a number of directions to the Modi government to fill up vacancies in the Central Information Commission and State Information Commissions. A bench comprising Justices A.K. Sikri and S. Abdul Nazeer also directed the Modi government to bring greater transparency in the process of appointing the CIC and Information Commissioners. In the order passed on a plea by RTI activists, the court asked the government to also consider non-bureaucrats for the post of a CIC. The top court also directed the government to fill up present vacancies within the next six months. To ensure that the post does not lie vacant for an extended period of time, the process to bring in a successor must be initiated two months before an officer is set to retire, the court added. To make the appointment of the CIC more transparent, details of the procedure must be made public. To ensure objective appointments, the court directed the government to make the eligibility criteria for the candidates public. 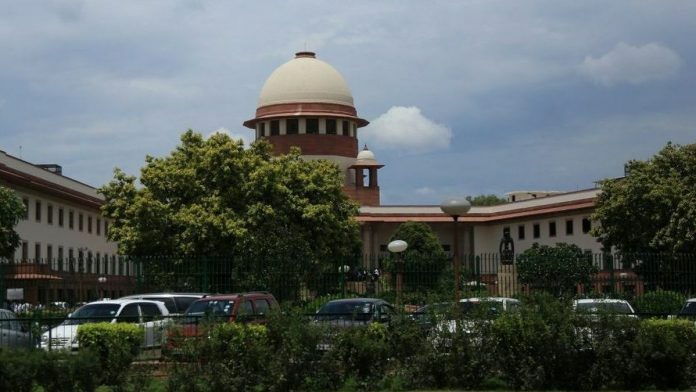 The Supreme Court had earlier pulled up the Modi government for its lackadaisical approach to filling up the vacancies in the Central Information Commission. On 27 July 2018, the court sought to know why no appointments were made to the CIC despite advertisements being issued in 2016. The court had also asked how many posts the Centre proposed to fill and the time schedule for the same. The bench had warned the Modi government that a “strict view” would be taken if it failed to respond to the court’s queries. In its affidavit a month later, the Centre failed to provide a definitive response to the top court’s queries and instead said that fresh ads seeking applications for the posts of Information Commissioners were published. The judgment Friday came on the heels of a plea filed by RTI activists Anjali Bhardwaj, Commodore Lokesh Batra and Amrit Johri. The activists submitted that there were over 23,500 appeals and complaints are pending with the CIC and sought expeditious filling up of the vacant posts.